Gourmet Stay offers stylish boutique accommodation with free WiFi and gourmet continental breakfast in the morning. Set in the heart of Wellington, the property is 5 minutes' walk from the waterfront. Guests enjoy an onsite breakfast cafe and lounge area on the ground floor. 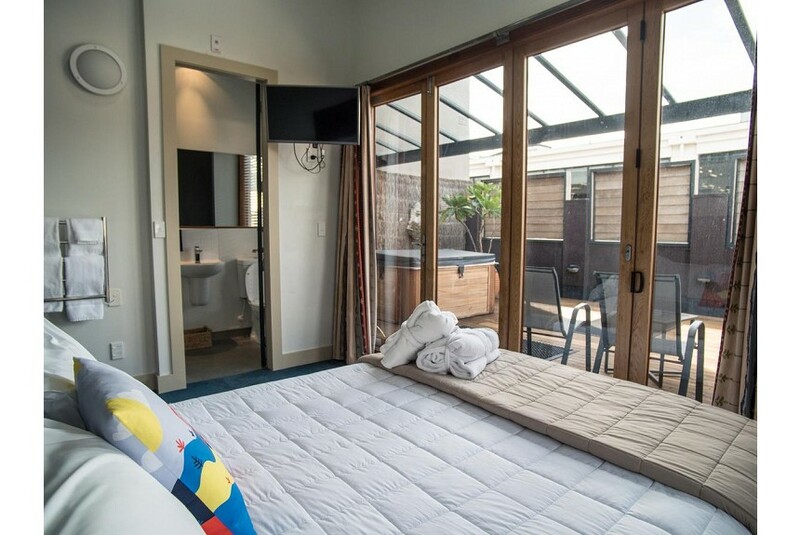 The restaurants, bars, theatres and nightlife of Courtenay Place are just a 5-minute walk away. The Interislander Ferry terminal is only 3 km away and it is 2 km to Wellington Railway Station. Each room at Gourmet Stay Wellington includes a 32-inch flat-screen TV, a work desk and heating. There is one room with an outdoor terrace and hot tub. Shared laundry facilities are available. Complimentary tea/coffee and fresh scones are available all day in the lounge area.